Prairie Talk began when Shane and Craig both worked on the hit TV show, Whose Line Is It Anyway? At the time Craig was working nights, and would wake up at noon when Little House was on. He started watching it everyday. Shane also found himself watching the show on a daily basis. While on the set of Whose Line Is It Anyway?, they started talking, and came up with the idea of doing a show about all things Little House. 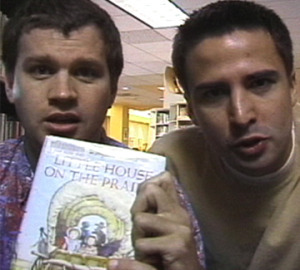 They thought it would be hilarious, and completely ridiculous that a couple of guys would do a talk show about Little House. A few months later, they were taping their pilot. They bought a few Duraflame logs, found a couple of crazy chairs, a dark sheet, and Craig’s living room was turned into the set for Prairie Talk. Ultimately they shot over twenty episodes. 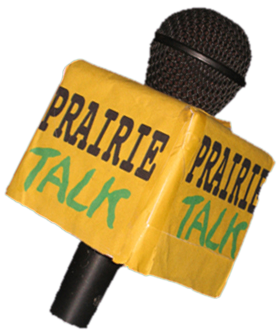 Prairie Talk aired throughout the Los Angeles area for many years on cable access television with Craig And Shane receiving very positive feedback.